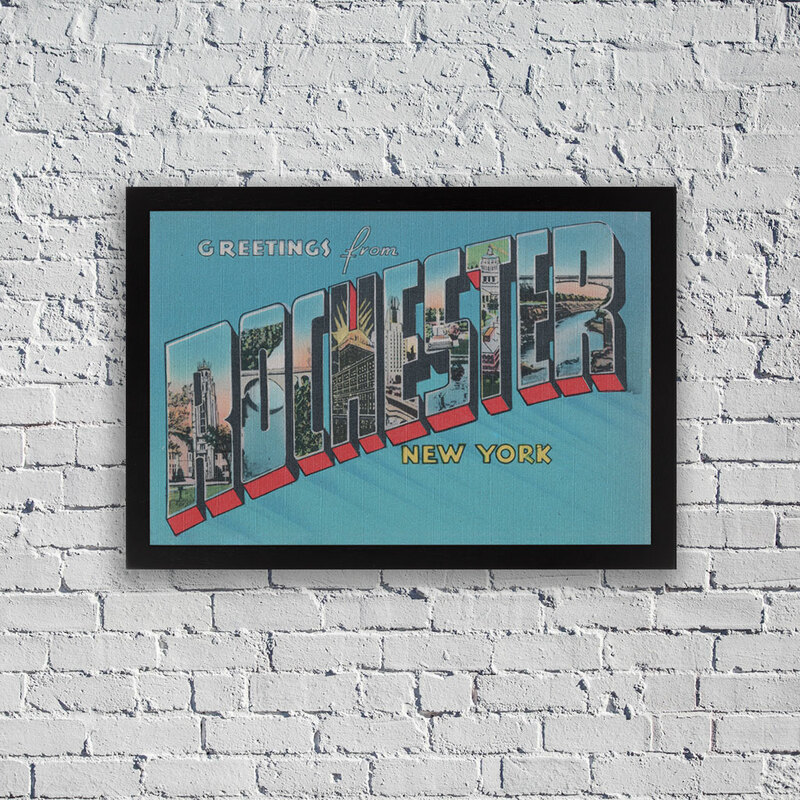 The classic “Greetings from Rochester New York” postcard from the 1950s has been enlarged and is now ready to frame and hang on your wall. Choose from 12″x18″ or 24″x36″. This matte, museum-quality poster is printed on durable, archival paper. All posters are unframed. All proceeds from this store go to support our mission.